For many brides-to-be the wedding dress is the most important part of wedding planning. Get the perfect dress and all will be fine, yes? Well, actually, your bridal makeup is pretty important too! That’s because if you make a mistake here, it’ll show up on your wedding photos – and they are for life! So we’ve cherry picked the biggest bridal makeup mistakes we’ve come across over the years, to help you avoid making them so you can look back on your photos and love them forever. You may think a trial is just a way for makeup artists like us to make more money. In actual fact, it’s the very best thing you can do to ensure you look perfect on your special day. That’s because we use the trial to assess your skin, discuss your skincare, find out how you usually have your makeup, talk about what colours and looks suit you, discuss your wedding theme – so you see, a trial is vital to give us the whole picture ahead of the day. We recommend you book a trial for yourself as well as your bridesmaids if possible to ensure we can achieve a perfect balance for your big day and of course those all-important photographs. 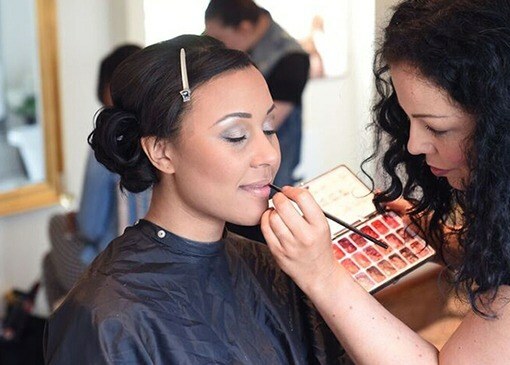 Many women wear makeup on a daily basis, but for brides who are more used to the natural, fresh-faced look, choosing a fully made up look for your wedding day could be a big mistake. For starters, you’ll look completely different. And while you may love that look for your wedding day, when you look back on your photographs over the years to come, you’ll barely recognise yourself, and you could end up seriously regretting it. You will find that your makeup looks fairly heavy to the naked eye, but this is necessary to show up on the photographs. We promise to use only the very best makeup brands to give you day-long flawless coverage – whether you’re into natural beauty or vintage glam. Great Britain is not known for having the best weather – and for brides who like to look tanned, a spray tan may be the best option. However please be very careful with this. If you’ve never had one before, remember you will need to have a patch test 24 hours before the tan to ensure it won’t react badly with your skin. Next, avoid going too dark with the colour – you’ll only need a sun-kissed look so choose the shade that best complements your skin. The last thing you want on your wedding day is super-dark legs and a pale face because you have naturally fair skin. We ask if you’re planning on having a spray tan that you also have one before your trial so we can ensure your makeup complements your new skin tone. On the morning of your wedding day we recommend you cleanse, tone and moisturise your face and brush your teeth before we arrive. But please put down the tweezers! Your wedding day is not the time to try out a new eyebrow look. Your pre-wedding nerves may get the better of you and the last thing you want is to be left with little to no eyebrows. Not to mention unsightly red bumps and rashes. We can use makeup to define your brows but it can’t replace missing eyebrows so please resist the wax and tweezers for one day. You may not wear waterproof makeup on a daily basis but we can guarantee that your wedding day is a day where it’s essential. You’ll have a long day ahead of you with all eyes on you. With all your loved ones there congratulating you, you’ll be doing a lot of kissing, hugging, crying –and don’t forget dancing! That’s why waterproofing is vital to ensure your makeup coverage lasts all day long. 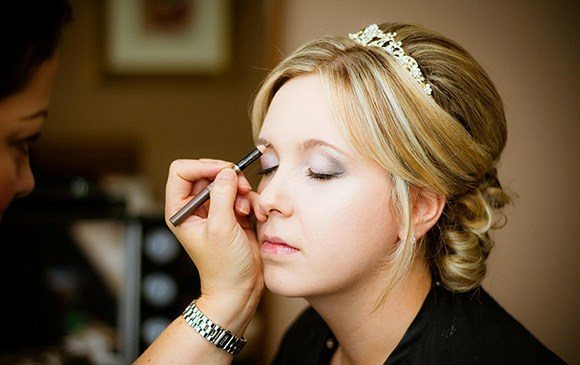 Want to ensure you don’t make any makeup mistakes on your big day? 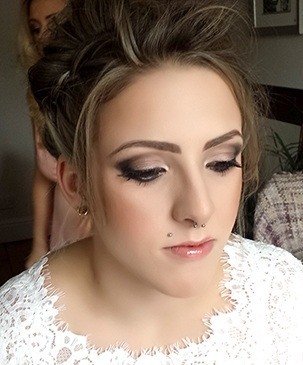 Fill out our enquiry form today and book Absolutely Flawless for your bridal hair and makeup!